this is sooooo true!!! i had very simillar issues with my baby whisperer book (entitled the baby whisperer solves all your problems….very misleading!). it now spends most of its time sitting on a high shelf, although i must admit i did use some of her sleep ideas, and now am thinking of bringing it back down for some eating ideas. we`ll see! This may be off-topic, but how about changing the theme every now and then? Maybe not if it won’t look right, but I just get tired of seeing the same thing all the time. My own computer has about 1000 wallpapers that randomly rotate every 15 minutes, lol. Adult ADD I guess. Good post though, thanks. 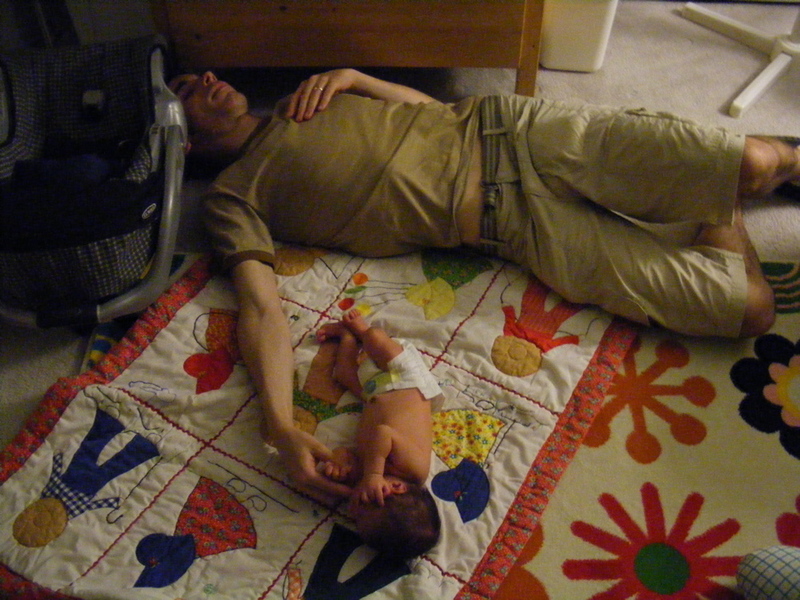 Erin – I do know people who had success following the baby whisperer. I think it depends on the baby. Owen was VERY hungry. The system didn’t work at all for me. Also, since breastfeeding puts the baby to sleep, it seems counterintuitive to wake the baby up to play and then put it down for a nap an hour later. You’ll figure it out! Trial and error, sweetie!